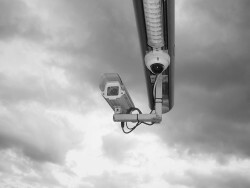 The video surveillance industry is keeping up with the modern world and reinventing itself all the time. Popular IP camera manufacturer Axis recently launched their own mobile application for their Axis Camera Companion. This makes a lot of sense as more and more people switch to mobile devices, the access to surveillance material on a mobile platform has become increasingly important. Although there are several mobile apps that work with IP video surveillance systems already available in the marketplace, they were not applications developed by the manufacturer of the hardware. The mobile app for Axis Camera Companion (ACC) provides easy access to IP video systems from smartphones and tablets. It works by accessing the IP video surveillance network via the internet. It also allows live remote viewing and management of video data which was previously only possible with third party apps. However with Axis providing their own mobile platform, you can be sure that there won’t be any technical issues with your Axis IP cameras. The ACC is basically a video management software that is provided by Axis for free. 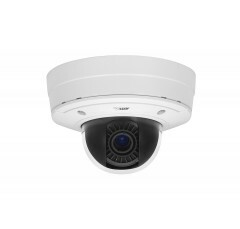 It is a platform that is included when you purchase any of their IP cameras and it enables you to record and store CCTV video on the camera via a SD card. The ACC which works on any PC allows you to access all the recordings on the IP cameras and manage them. 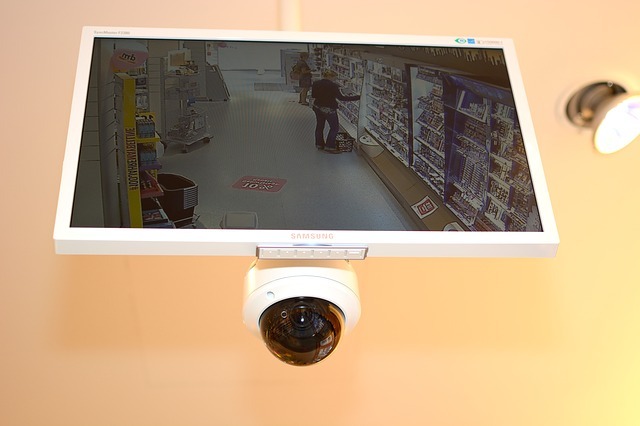 The system supports up to 16 IP cameras and is perfect for a small business. The software was always known for its user friendly approach to the system and the mobile app has only made it more efficient. The Axis mobile app is conveniently available on both Android and iOS platforms, however you must ensure that your app is always up to date. With access to Axis Mobile Streaming, the mobile app has been developed to make live streaming and viewing of recorded video simple even with low bandwidth. All this development is great, but the downside of technology is opportunity it presents to hackers from around the world. All mobile and PC platforms use the internet to access IP video systems and recently, those in the surveillance and security industry become aware of the “Bashbug” or the “Shellshock” bug. It was discovered a short time ago on a Linux operating system. As a lot of webservers run on Linux operating systems to host websites and mobile applications, this also means that IP cameras function using the same technology on their on-board operating systems. As a result this made the security system vulnerable and a lot of corporations may have been at risk of hacking and voyeurism. What the bug essentially does is it opens the door for an attacker to send a request to the webserver that uses the bash interface using malformed data in the internal system. As a result the system can be tricked and exploited as it will treat the request as a command and then execute it. As a result it is important to check your IP cameras for vulnerability and make sure that everything is properly updated. Today its bash that created the vulnerability, tomorrow it can be something else, so it is always imperative to be prepared for any type of hack. Surveillance equipment manufacturers were quick to respond to this intrusion and have provided updates even though their products were not affected. Manufacturers like Axis, Jumbu, Mobotix, Sony, and Vivotek to name a few are all free of hacker danger. An in-depth investigation of security forums have shown that most devices were not affected but the incident raised a lot of alarm bells. Although one expects these types of occurrences, it is completely different when it actually happens. The Bashbug incident just evidences the potential of attacks on security networks that use internet protocols to function. Like with any web based application it will continue to be a cat and mouse game between the security experts and the hackers. Mobile apps and hackers are both here to stay, progress cannot be stopped and hackers that come along with it have to be dealt with one by one. The best way to keep your operation secure is to not only maintain the hardware, but also keep all PC and mobile platforms up to date. Keeping any eye on security blogs and forums will also help you stay prepared for any attack.